"Speak to the Earth and it shall teach thee"
This fall I attended a conference on sacred sites and dowsing in the UK, and continued my visit as a personal pilgrimage, visiting Avebury, Glastonbury, Arbor Low, and other sites. After a 15 hour flight from LA, I waited in line 2 hours in Customs, then made my way to Paddington Station in London, then to Swindon by train, finally to Avebury by bus, and wholly exhausted stepped from the bus to see, perfectly aligned with my sight, rising from the mist, the great prehistoric monument of Silbury Hill, the mysterious Omphalos of an ancient world. When I saw Silbury through the mist, what opened before me was a vision of a time when the entire landscape was the sacred body of the deity, a cyclical mythos of an animated Earth that ensouled and enlivened and enstoried every hill, spring, river and forest within a cosmology of conversant belonging. Situated just south of Avebury, Silbury Hill is Europe's tallest prehistoric structure. Michael Dames, in his book THE SILBURY TREASURE, demonstrates that Silbury, like other "neolithic Harvest Hills" associated with nearby henges and standing stones, literally represented the pregnant belly of the Great Mother, and was associated with a certain time of the year, in particular, the harvest of July/August. Silbury Hill is part of the Avebury complex, and has been excavated over the centuries, never once finding the “great chieftain’s treasure” which it was assumed “must” be there. We now know that its interior holds grains, turf, and animal bones, with no evidence of human burial at its core. Silbury was surrounded by a henge or moat of water, which Dames points out actually forms the shape of a squatting or birthing woman in profile. He likens the "Goddess form" of the henge to similar ubiquitous Goddess sculptures and sites associated with Cornwall, Ireland, Scotland, the Orkney Islands, the Hebrides, the Isle of Man, Brittany.........as far as the mysterious Temples of Malta, or the barely excavated stone circles of Gobekli Tepe in Turkey. When I later walked the Avebury complex I experienced the intensification of life force vitality I have come to recognize in places of numinosity and telleric force. There is no doubt in my mind (or body mind) that these sites marked places of intrinsic geomantic power, and the placement of stones also served to intensify or channel the animating Earth energies present. Sacred landscapes also augment their healing or consciousness elevating properties through the interaction of generations of people with the "spirit of the land" through geomantic reciprocity. Geomantic reciprocity occurs as human beings bring intentionality and focus to a particular place. The communion with place becomes more active as place itself accrues story, in the memory of the people, and in the memory of the land. Sacred places have both an innate and a developed capacity to bring about altered states of consciousness, especially if people come with the open liminal state of pilgrimage or ceremony. And myth is the language spoken, if we wish to engage the numinous presence. I also went to Glastonbury, to visit the Chalice Well. 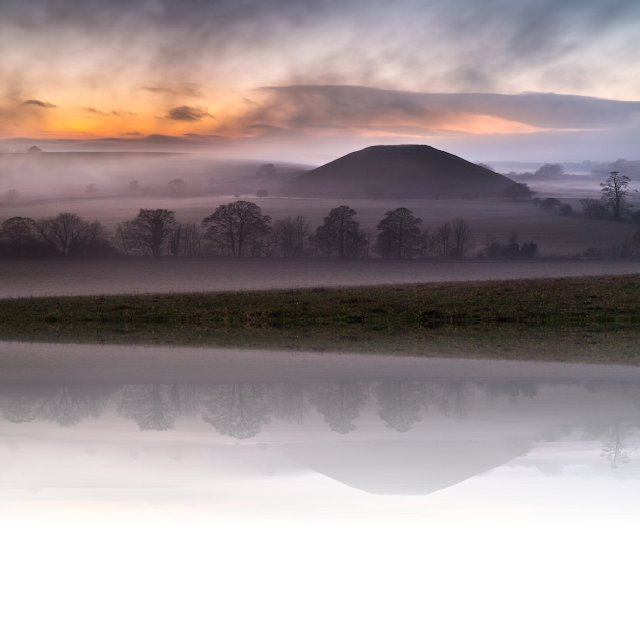 Glastonbury is the source of the Arthurian legends, of Merlin and the Lady of the Lake. Once the hill called the Tor was actually surrounded by a lake. During the Middle Ages it contained the great Gothic Cathedral of Glastonbury. Dowsers speak of the “crossing of the Michael and Mary lines” at the Tor, as well as the more mutable “Dragon lines” of serpentine force . Now called the "Red Spring" and the "White Spring", the source of the Chalice Well is still revered by pilgrims. The red color is iron oxide being deposited by the springs - the white spring deposits calcium, leaving a white tinge as it passes over. The Avalonian springs are famous………….but in truth, there are hundreds of once revered historical wells and springs throughout the UK, many of them still named for St. Brigit, the ancient Goddess of the Isles of Britannia. The Chalice Garden is infused with presence, with what locals call the Lady of Avalon. I took water to bring home, and walked around. What popped into my mind was odd - the words "Covenant Garden". What could "covenant garden" mean, and why had I thought of it? I remembered the name of the English Goddess, Coventina, from which the word itself may be related. Later I considered that the word Covenant, like "coven", "convening" etc. refers to a gathering of people to reach an harmonious agreement, which can include an agreement that is holy in some way. Such as the famous "Ark of the Covenant", which was supposed to hold writings and objects of veneration, as well as "God's sustenance for man" which was called Manna. Manna was the food, variously described as different substances, that was provided to feed the people; it has also come to be used to mean a kind of numinous power. According to Wikipedia, the Ark of the Covenant is a gold-covered wooden chest described in the Book of Exodus as containing the stone tablets of the Ten Commandments. It also is supposed to contain “a golden jar holding manna, and Aaron's rod, which budded" . Interesting: holy food and a budding rod or tree. The Garden is indeed a "harmonious agreement" between earthly beings. And "Manna" is the food provided by the Garden, which I view as the sustaining power of nature. Aaron’s "rod that blooms".............could also be seen as the ancient Hebrew and Middle Eastern Goddess Asherah, who was often represented as a tree, and in the days of the old testament She was represented as a rod, or "Asherah pole". The practice of carrying "Asherah poles" was apparently fairly common in the early days of the Semite tribes, although the Patriarchs later eliminated this custom, along with the Goddess, as the Hebrew deity became exclusively male. I reflected that a Garden represents a "Covenant" between human, animal, plant, soil, air, rain, water.......A successful garden is a harmonious Ecosystem. A garden thrives through a network of inter-dependant relationships. Trees communicate with each other through a vast underground weaving of roots and fungi. The bees and other pollinators bring new life; the worms, microorganisms and and other insects assist in the decay process. And the birds assist in distributing seed as well. Not to mention humans that may plant, sow, admire, and occasionally eat the stray apple or strawberry as well. It could be said that a Garden is a "Covenant" achieved by many beings, a divine agreement. THE GARDEN OF THE COVENANT. As I was leaving my Pilgrimage, I saw a tiny metallic heart on the ground. I was going to take it, but then it occured to me that perhaps someone left it as a kind of offering, and it wasn't right for me to take it. I put it back on the ground and took a picture. I was amazed to see this light surrounding it in the photo! So I took two more - they came out the same! A Green Heart ……… Perhaps the Earth is Speaking to us all the time, we’ve just forgotten how to listen. "To the native Irish, the literal representation of the country was less important than its poetic dimension. In traditional bardic culture, every place had its legend and its own identity....what endured was an ongoing conversation with the mythic landscape." In so many areas of the UK the 21st Century can seem like just another layer atop a pentimento of a much older landscape. Of course this is true everywhere, but it seems so much in evidence there. That "pentimento" is circular, serpentine, full of standing stones, henges, magic wells. and ley lines. What, as theologians and "geologians" for the future, might we re-cover and re-invent from it? With the evolution of monotheism and patriarchal religions that increasingly removed divinity from Nature and the body, and in the past century, the rise of industrialization, we have looked at the world from a "users" point of view. Renunciate religions have de-sacralized earthly experience, further complicating our crisis. Yet every early culture has insisted that nature is full of intelligence. Contemporary Gaia Theory proposes that the Earth is a living, self-regulating organism, responsive and evolving. If one is sympathetic to Gaia Theory, and the innate intelligence of ecosystems, it follows that everything living is responsive and conversant in some way, visible and invisible. 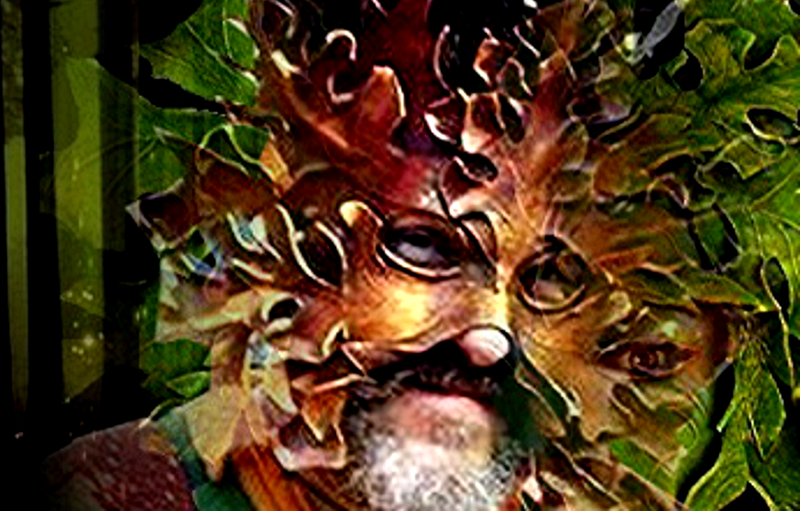 We need to learn to "speak with the Earth" again, not in some abstract way, but intimately, beneath our well-rooted feet, in our creative hands entwined and webbed among a great planetary collaboration. The "Covenant" of the Garden. How do we regain our niche in that great “Covenant”? I believe one answer is “re-mything” . Myth is, and always has been, a way for human beings to become intimate and conversant with what is vast, deep, and mysterious. Our experience changes when Place becomes "you" or "Thou" instead of "it". As Pagans we are uniquely able to address that question. In the past, "Nature" was a relationship with Deity, a relationship within which cultures, individuals and religions were profoundly embedded as story and living metaphor. Cooperation and respect was essential for well-being. And some places were places of special power, places of pilgrimage. Oh, such great joy in reading this essay on ancient connectivity, makes me long for a glimpse. You have brought the myth forward to us, Lauren, thank you so much for your yearning eloquence! May we deepen into place and weave our own garden's tapestry. Wonderful to read this thoughtful commentary on your recent travels--very rich in beauty and mystery. I especially enjoyed the connection between Silbury and the birthing woman form. This is really beautiful, Lauren.